With Toggle Rope and Header - ready for flying. Please feel free to make enquiries should you have any specific requirements. Call for a quote: 021 903 0320.
packed in polythene bag. These flags can withstand the elements and also bear close inspection. Suitable for indoor use as well. with heading, rope and toggle, packed in polythene bag. Sizes stocked are 90 x 60cm and 180 x 120cm and a more limited range in the 135 x 90cm size. 15x10cm and 22x15cm, mounted on black plastic mast and base. 15x10 and 22x15cm mounted on 27cm black plastic stick. 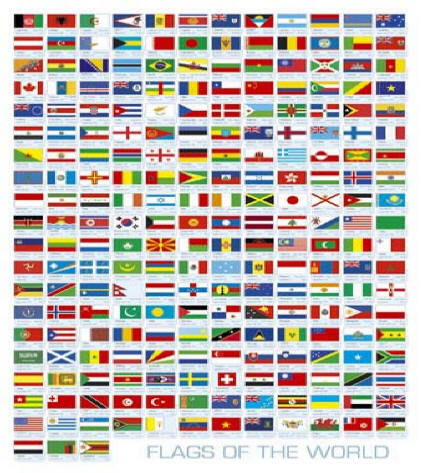 Code flags used by ships and yachts are available in four sizes. commonly known as Code Flags continue to be used. A set comprises 26 flags (A-Z) and 14 pennants (10 numerals, three substitutes and an answering pennant). 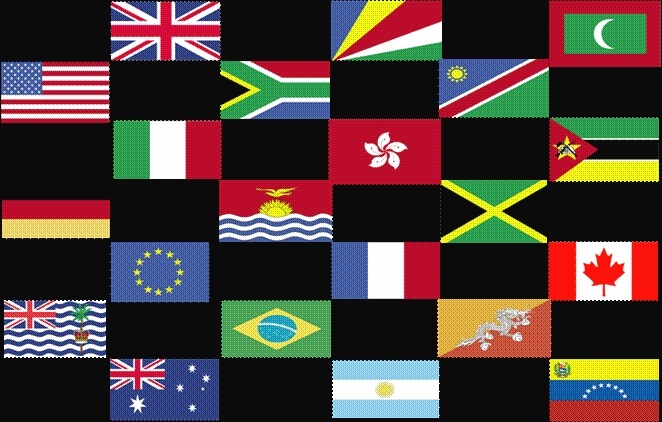 Sets or individual flags may be ordered in the sizes: 60 x 40cm, 75 x 60cm, 115 x 90cm and 180 x 120cm. The most popular sizes are 60x40cm for smaller craft and 180x12cm for large ships. 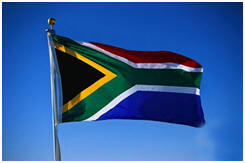 Enquire at steve@samapsandflags.co.za for more information and availability. 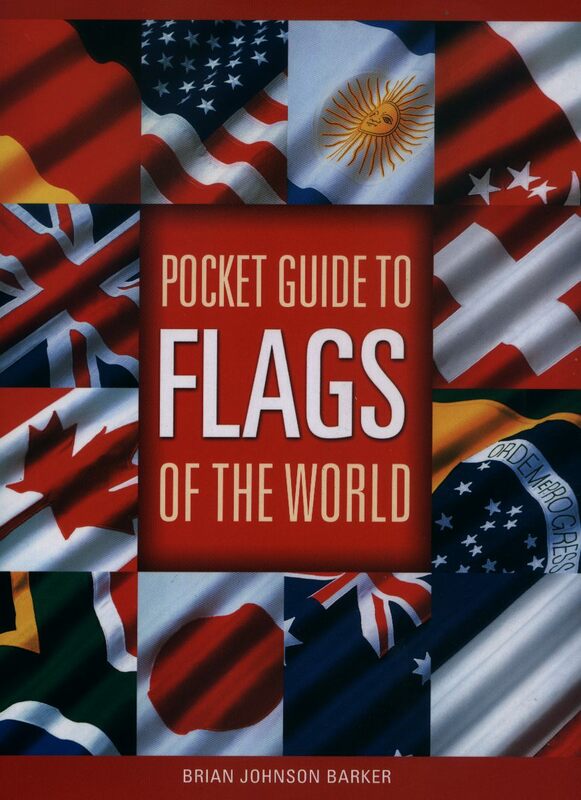 Pocket Guide to Flags Of the World.